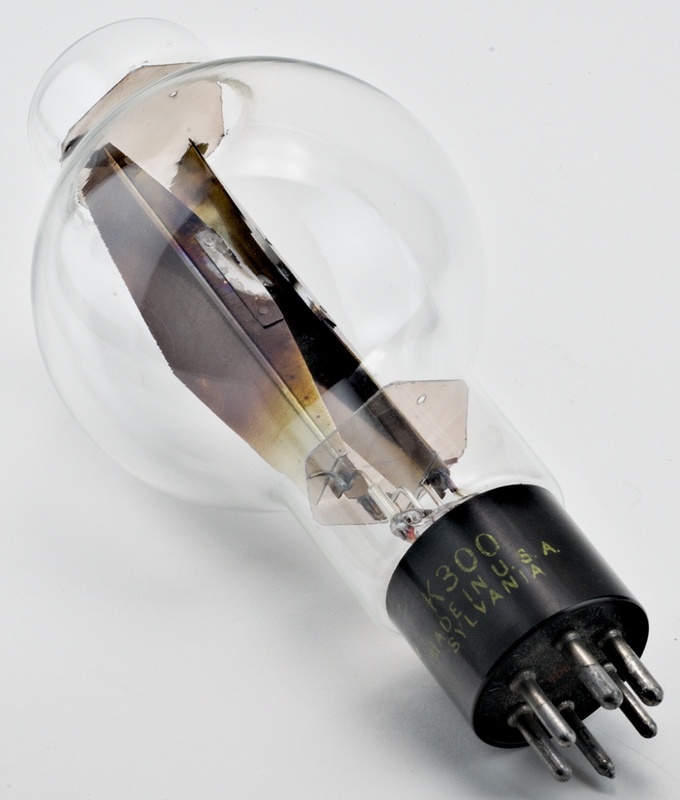 Developed in the 1950's as a light source intended to deliver an intensely bright point source of white light. This lamp uses zirconium oxide, an electrically conductive ceramic, incorporated into the lamp as the incandescent anode. 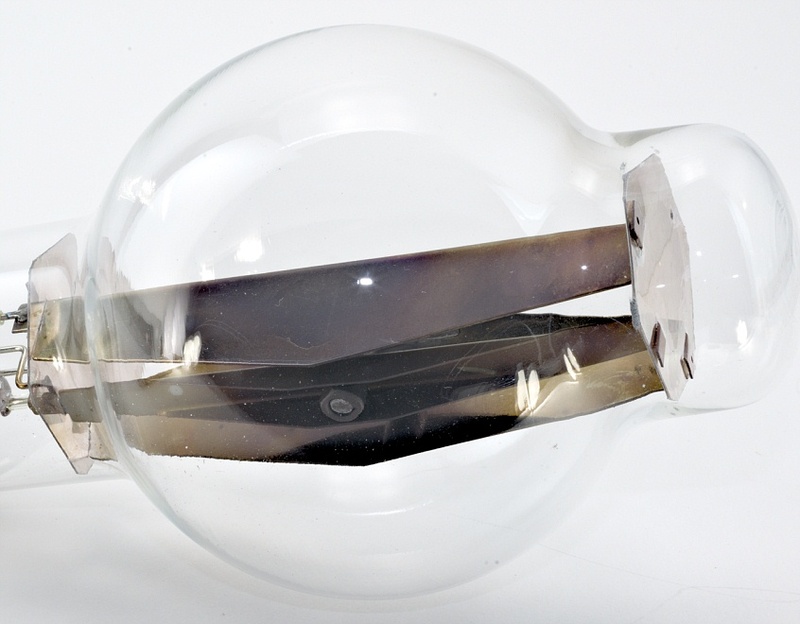 The cathode takes the form of two plates made of molybdenum, surrounding one end of the zirconia rod. 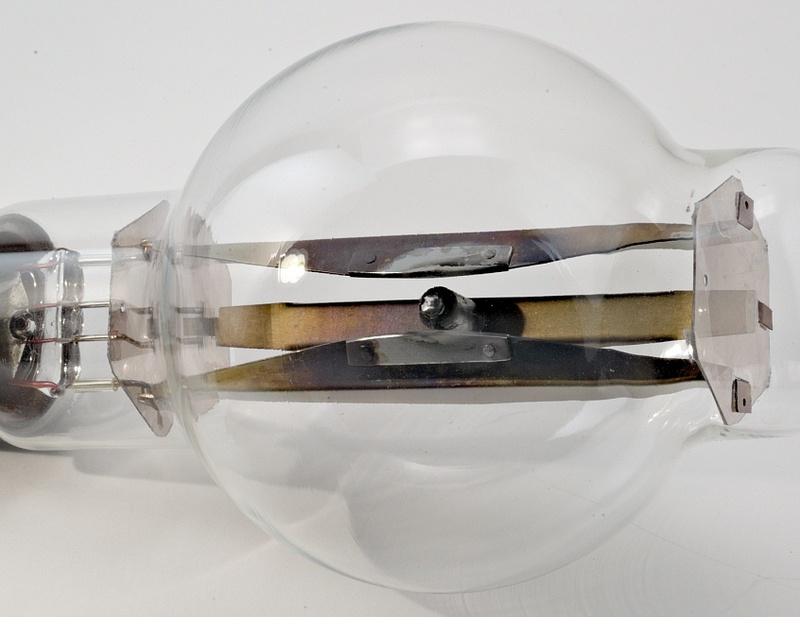 On striking the discharge, the zirconia anode becomes intensely heated as it is bombarded with electrons, and is raised to incandescent emperatures. Zirconium delivers a bright, white light. 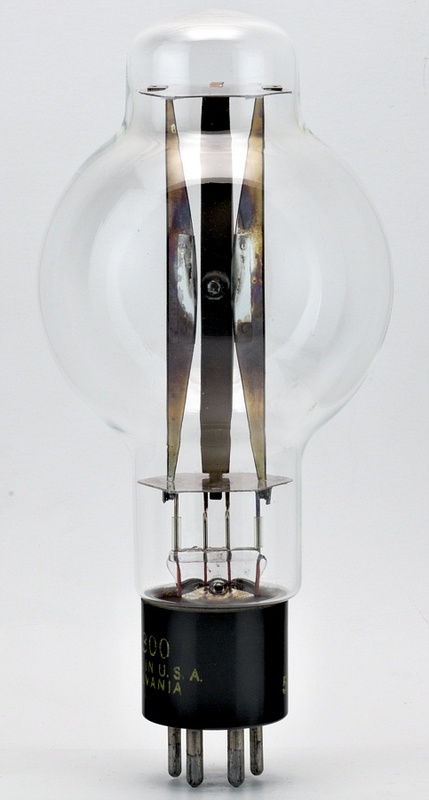 Despite the improved design over tungsten Pointolite lamps, zirconia lamps were short lived and soon superseded by mercury arcs. Hauteur • Height • Höhe : 17,9 cm • 7"